You are here: Home / SCIENCE & HEALTH / How Many Beers Does it Take to Reach a BAC of .08%? How Many Beers Does it Take to Reach a BAC of .08%? Blood alcohol content, BAC for short, is the common definition for alcohol impairment – or, getting drunk. A BAC of .08% is an important demarcation in the eyes of the law. When you’re having some beers with friends, you probably want to know exactly how many beers will get you to that spot. The short answer: not many. The longer answer is that your BAC depends both on your physical and emotional makeup as well as the beers you’re drinking. 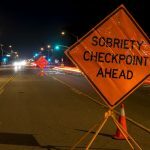 Interestingly, a new study indicates that the higher your BAC actually is, the more likely you are to underestimate your level of impairment. So, guessing your BAC is very different than actually knowing it. 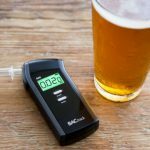 Knowing your BAC is complicated: it’s different for every person, and it depends on several internal factors and at least one external factor – the beer you’re imbibing. Let’s start with the external factors. External factors: How many beers does it take? In the U.S., a standard drink is defined as containing 14 grams of alcohol. In a generic American beer, like Budweiser or Miller, this often means 12 ounces of a 5% alcohol by volume (ABV) beer. On any given day, considering your body size, weight, and several other internal factors, you may have two or three 12-ounce beers before reaching a BAC of .08. Just like the people drinking them, not all beers are alike. Chances are good that if you’re having a draught beer, the bartender poured it into a 16-ounce pint glass. After two beers, you’ve already enjoyed 32 ounces of beers. The size of the beer isn’t the only thing the matters: alcohol percentage plays an even bigger role. In the U.S., the craft beer movement is exploding, with breweries popping up in big cities and small towns nationwide. The problematic part of these delicious beers is their alcohol content varies wildly. 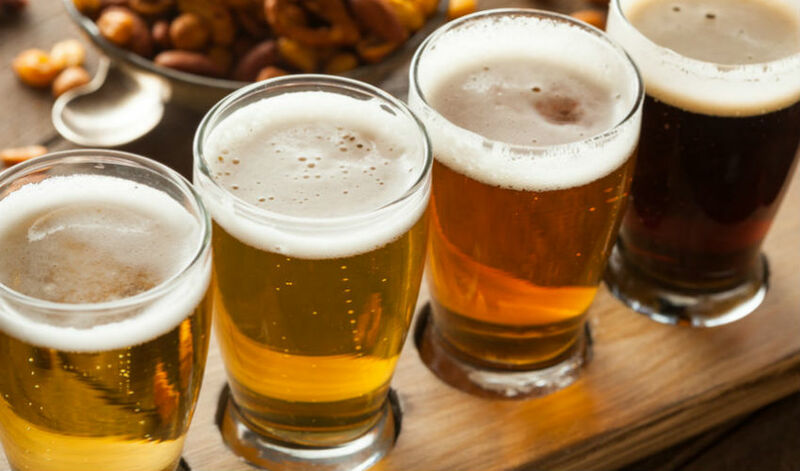 A craft-brewed light beer could contain as little as 4.0-4.5% ABV. Conversely, a hoppy IPA or a flavorful dark stout can easily have an ABV anywhere from 5-10% – or even more! One pint-sized craft beer can easily equal two standard 5% beers, making your BAC higher than you imagine – especially if you’ve only had one. How quickly your body absorbs and tolerates alcohol is known as the absorption rate. Importantly, your absorption rate isn’t a static metric. Instead, it changes based on a number of factors. One day, it may take you three beers to reach a BAC of .08, but another day it could take less than two beers. Gender. Alcohol is easily dissolved in water, which comprises about 60% of the body. However, women’s bodies have less water than men’s bodies due to increased fatty tissue presence. Because fat cannot absorb alcohol, the alcohol is more concentrated. Age. As you age, your body’s water decreases, so you feel more pronounced effects of alcohol. Metabolic rate. How fast your metabolism can process and expel alcohol depends on your diet, digestion, fitness, hormones, and more. Build and body fat. Smaller-framed bodies will reach a higher BAC before larger-framed bodies. Alcohol is also more concentrated in people with a high proportion of body fat. Rate of alcohol consumption. The faster you drink, the quicker your BAC increases. Your BAC is also affected by the time since your last drink. Use of drugs or medications. Alcohol has different effects when mixed with other drugs, whether legal, prescribed, or otherwise. This contributes to a higher BAC. Dehydration. If you’re fighting a cold or illness, you’re likely dehydrated, so alcohol can enter the bloodstream quicker and take longer to process through the liver. Fatigue. When you’re tired, your liver isn’t as efficient at processing alcohol. Fatigue also causes similar symptoms as intoxication, so feeling tired and drinking beer can intensify these symptoms. The BAC metric is usually expressed as a percentage of alcohol (ethanol) in the blood. For instance, a BAC of 0.10% means that there are 0.10 grams of alcohol per 1,000 parts (deciliter) of blood. The higher your BAC, the more impaired you are. Why is .08% BAC important? 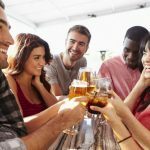 The bottom line is this: your body changes day-to-day, and beers can easily have more alcohol in them than we think. Both factors mean there is no set number of beers to guarantee your BAC at 0.8%. The only real way to know is to test it with a breathalyzer. 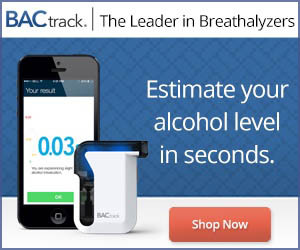 Are Breathalyzers Accurate? Third Party Testers Say…It Depends! Browse our site and learn about alcohol consumption, how alcohol affects the body and its measurement. Sign up for our newsletters too!